This Lemon Pound Cake is the perfect combination of slightly sweet pound cake with a thick drizzle of lemon glaze. Serve for dessert or Easter brunch! Can you tell I am ready for spring?! I’m pretty tired of the below freezing days here in Texas, though not quite ready for the 100+ temps either. 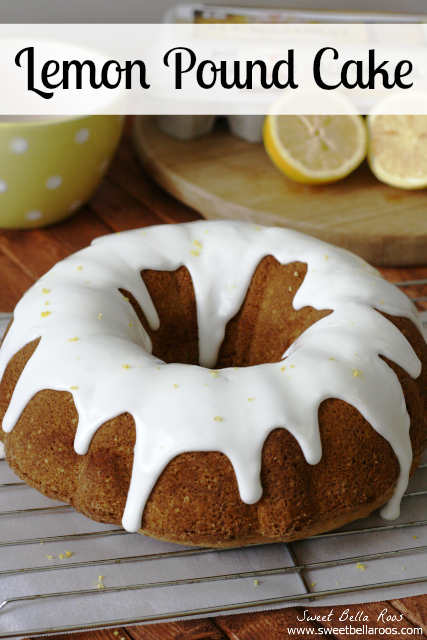 Lemon Pound Cake is right where I want to be- sunny, breezy, warm, spring! My grandmother used to make a lemon cake recipe every year for my grandfather’s birthday and I grew up believing that lemon cake was his favorite. It wasn’t until recently that I learned he actually loves chocolate and that lemon bundt cake was actually my grandmother’s favorite! Haha! 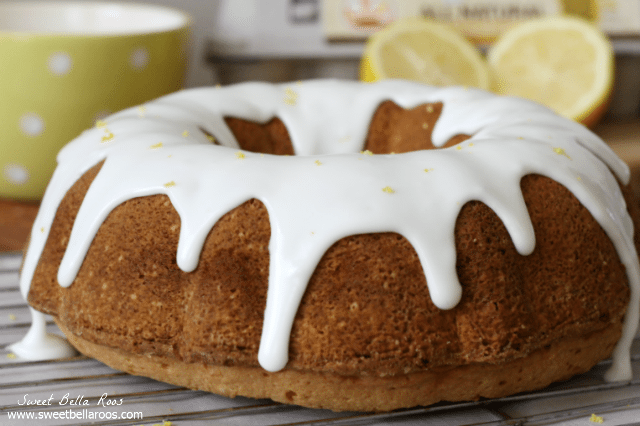 Here’s a tip to easily grease and flour your bundt pan for this lemon pound cake: use a paper towel to smear 2-3 tbsp of vegetable shortening inside the pan, ensuring to get all of the nooks and crannies. Use 2-3 tbsp of flour, turn the pan on it’s side (preferably over the sink) and tap the sides of the pan to dust the entire surface. 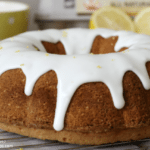 You want to take the extra time to do these steps well so that your moist lemon cake doesn’t stick to the bundt pan! This Best Ever Lemon Pound Cake is one of my favorite spring recipes. Slightly sweet pound cake with a thick drizzle of lemon icing, this cake is perfect for a spring birthday or Easter celebration. Cream the butter and sugar with a electric mixer. Add in all remaining ingredients and beat on medium-low for 10 minutes, scraping the sides of the bowl as needed (about 2 times). Pour the lemon cake batter in a greased and floured bundt pan. Bake for one hour or until toothpick inserted in center of the pound cake comes out clean. For the glaze: combine all ingredients and mix well. Pour the glaze over the lemon bundt cake and top with grated lemon zest. What a lovely post. Lemon Pound Cake sounds so tempting. The icing on the cake looks perfect. Kindly share more lemon recipes. I love a pinch of lemon to my cakes. Thanks a lot for sharing. Keep posting and Keep sharing…. YUMMY! Thanks for linking up with What’s Cookin’ Wednesday! 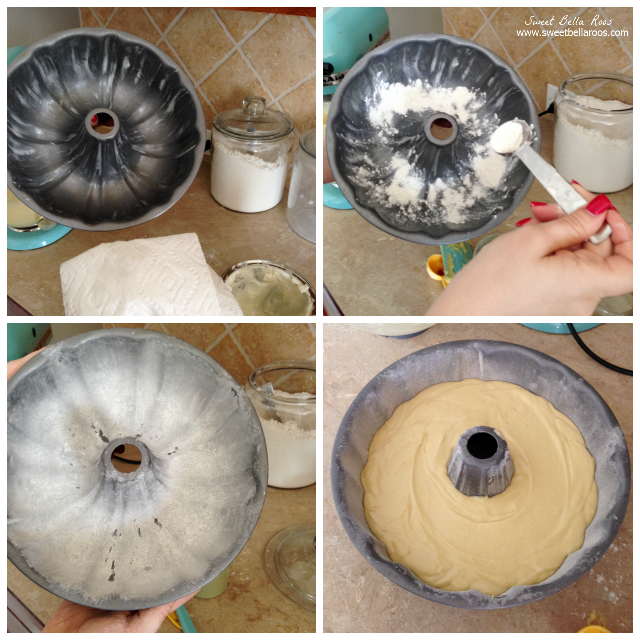 Love this tip for making sure your cake comes cleanly out of the pan. I’m usually a little too lazy to take the time to do it properly, but for bundt pans and other more intricate designs it really makes all the difference. Thanks for sharing at Merry Monday! This looks PERFECT – that icing! I am so ready for more lemon recipes and warm weather also!